I was asked by Samsung to give my insights on the evolving role of the CIO in the age of digital disruption. These insights have been included in a marketing piece which Samsung has released in relation to the key take aways for CIO’s coming out of this years Gartner Symposium in Barcelona. Click here to read my insights. 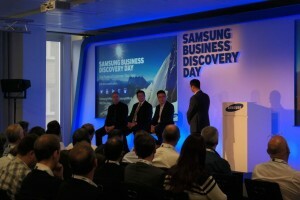 I was delighted to be asked by Samsung to speak on a panel at their initial Samsung Business Discovery Day in St Paul’s last week – www.samsungbusinessdiscovery.com for event info and #BizDiscovery on Twitter for some soundbites from me on the panel. You can also click here to see the full panel session on YouTube. The panel discussed how mobile technologies are changing the role of the CIO and how the CIO can empower the business through their use. It was a lively, stimulating and fun discussion which included a good number of live questions from the floor. 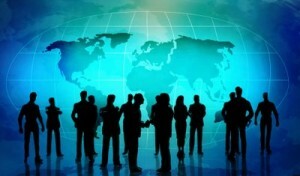 We are entering a new paradigm of technology in business. The rapid adoption of consumer technology can truly liberate our most precious resources – our people – and free them to spend more time with customers and consumers. In every sector, companies are discovering that mobile technology presents new opportunities for customer discovery – transforming service, support and ultimately improving sales. At the Samsung Business Discovery Day we will hear how companies are putting mobile technology at the centre of their technology strategy. Leveraging new platforms based on consumer technology to add more speed and flexibility to current business operations. We will explore these new paradigms, share implementation experiences and generate dialogue and debate to help your organisation leverage the power of customer discovery in your business. We believe that innovators in the technology or IT departments should be driving a new agenda – building business platforms that are mobile first and built on consumer technology. In this mobile first world – businesses can accelerate the adoption of technology and ensure that their employees spend more time working for and on behalf of their customers. It sparks new debate, a fresh look at the consumerisation and BYOD trends – addressing matters like enterprise security from a people centric view – allowing your employees to embrace new technology. I fear that the pace of digital and social disruption is catching out a number of CIO’s who aren’t moving at the same pace as their organisations. Couple this with the naturally accelerated rate of change that is currently rippling through many organisations, and the need for technology to be leveraged to support it is causing CIO’s many a sleepless night. My advice to them is: don’t make yourself an island. Don’t retreat in to the abyss of technology and speak only in forked tongues; learn the language of business, get out there and engage with your peers and organisation. It’s easy to lose track of what the organisation needs and suppose that you have got everything covered including what you think they need. This is such a dangerous way to think and act, as it shines like a beacon to the rest of the organisation that you aren’t open to communicate with them and understand their pain points. You will find that if you communicate and work with your peers to understand the issues they face, they will be more open to discussing with you the best ways you can leverage technology to help them. Better still, you can work together and start to pick these things up before they become issues and deliver real innovation and value across your organisation. If you find that you are making yourself an island, nip it in the bud as quickly as you can as the truth of the matter is that others in the organisation will have noticed it long before you do. This could mean that you have an increasing shadow IT problem as others in your organisation have gone out and gotten their own solutions rather than through your organisation or involving you. Don’t continue to resist change as the current digital and social disruption means that change is inevitable. Those that resist it will be left behind pretty quickly and as the CIO you really cannot afford that to happen as your organisation will quickly find someone else who will engage. 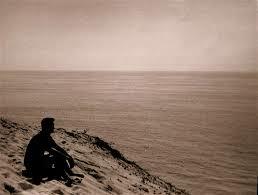 Better still, you may find that you really enjoy it and as they say, change really is as good as a rest. This is my first piece for Samsung Business and is published here on the Samsung at Work site. There are always many theories on the position of the CIO role, from the CIO role is dying through to should they be renamed the Chief Innovation Officer. The truth is that many still do not understand the CIO role and its place within the organisation. Many CEO’s and CFO’s still find it hard to understand IT and just see it as a money laundering operation rather than something that can add real value to the bottom line. It’s really up to CIO’s to stand up and be counted and show not only what they can bring to the table but prove they can be strategic, customer facing and deliver both innovation and revenue whilst making sure the technology still operates. There is no doubt the CIO role has and is evolving constantly but that is true to say of all c-suite positions who want to stay relevant and ahead of the game. As technology moves at such a pace, so must the CIO understand and work out the best way(s) to leverage it to add best value to their organisation. Technology has seeped more in to our everyday lives and as a result the roles that manage it must adapt to become more innovative and constructive in the ways they use it. Gone are the days of just making sure the equipment is in working order and the datacentre is operational – CIO’s are now measured on what they deliver to the bottom line and rightly so. If you want a seat in the boardroom, you have to earn it and work very hard to keep it. 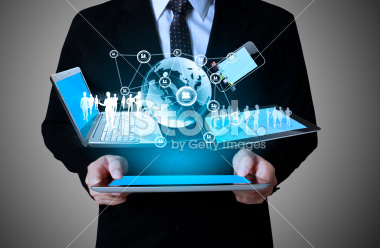 As the CIO role evolves it naturally starts to touch a lot of other technology areas such as digital and mobile. This is where people are now saying they enter the CIO v CMO battleground with the victor seemingly the one who owns the digital space and ultimately the technology piece. Politics aside, what’s to stop both working together? A quality CIO and CMO alliance would be a really formidable force in terms of delivering innovative and strategic solutions built around the needs of the customer. Many companies are struggling with this ‘middle ground’ and anointing a new role, the Chief Digital Officer (CDO). Does this only add more mud to the water of who owns what or is this another career path for marketing savvy CIO’s or tech savvy CMO’s? What I do know is that if you add tangible value, deliver your strategic objectives, beat your KPI’s and deliver innovative solutions, you can choose your own job title and sit wherever you want in the boardroom. 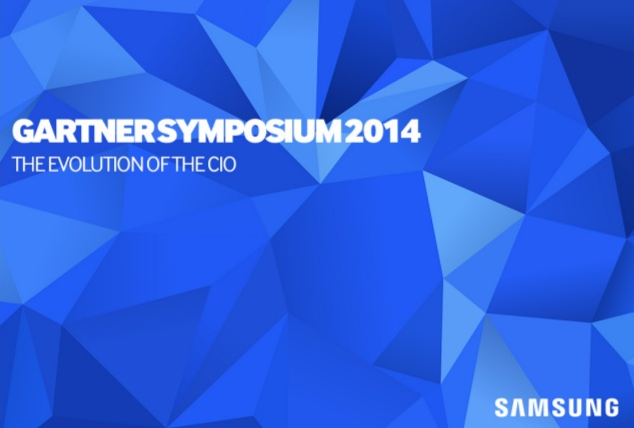 I’m delighted to have been asked by Samsung Business to work with them at the Gartner Symposium IT Expo 2013 in Barcelona next week. I will be capturing the event and creating a body of high quality content through live blogging and comment, insight and analysis articles published through this blog and my social channels.